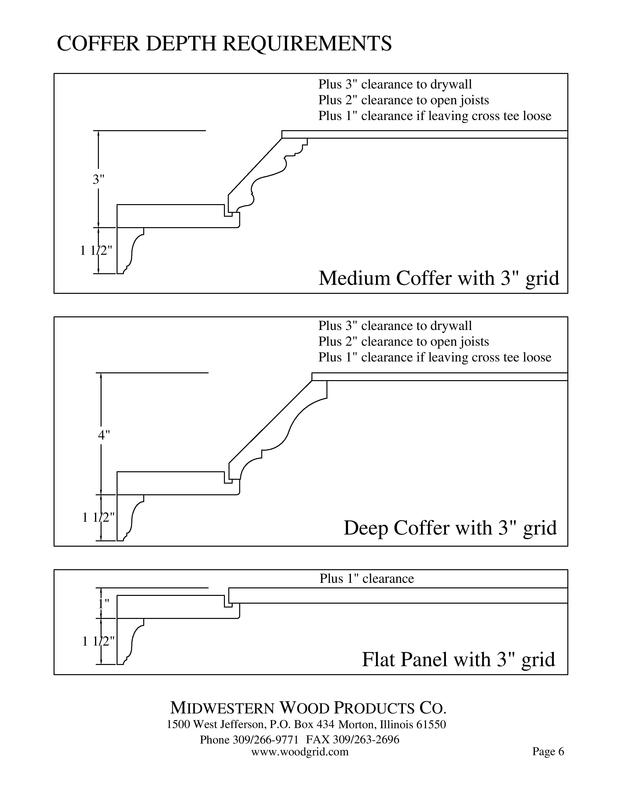 Printable Literature * WoodGrid® Coffered Ceilings by Midwestern Wood Products Co.
Click here for printable page on Coffer Depth requirements (below). 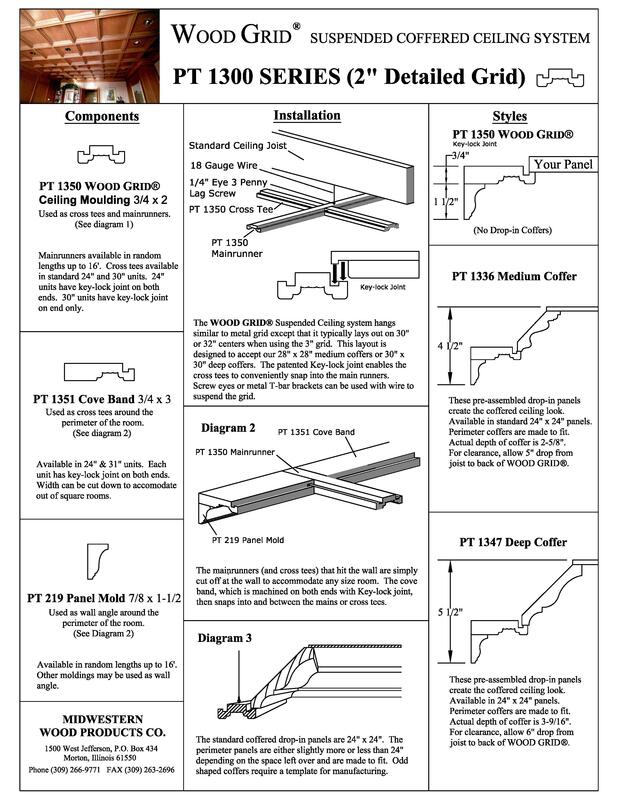 Click here for printable page on 3 inch grid ceiling components (below). 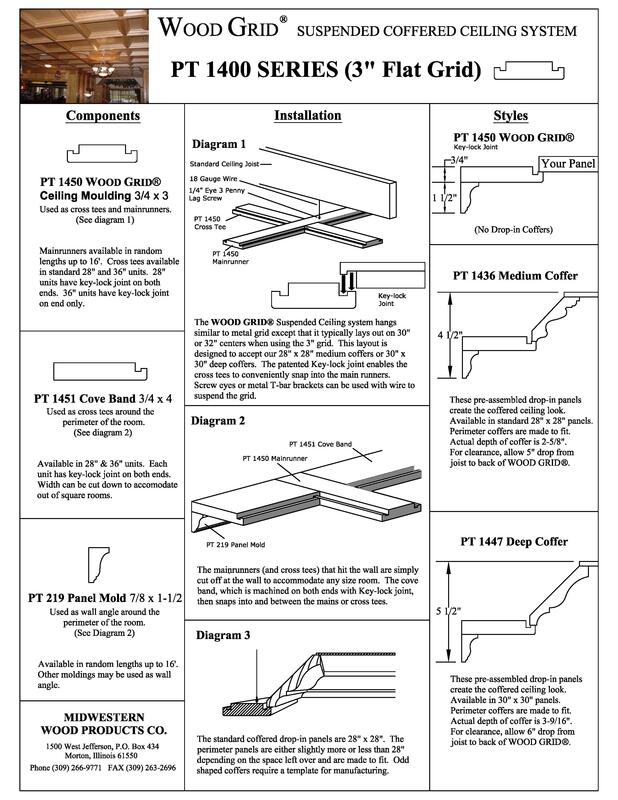 Click here for printable page on 2 inch wide grid ceiling components (below). 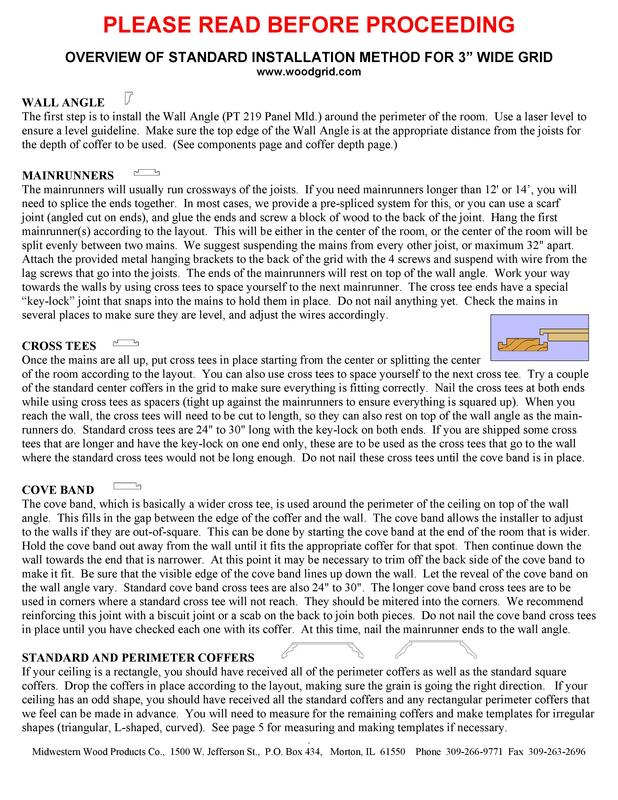 Click here for printable page on Installation Procedure (below). 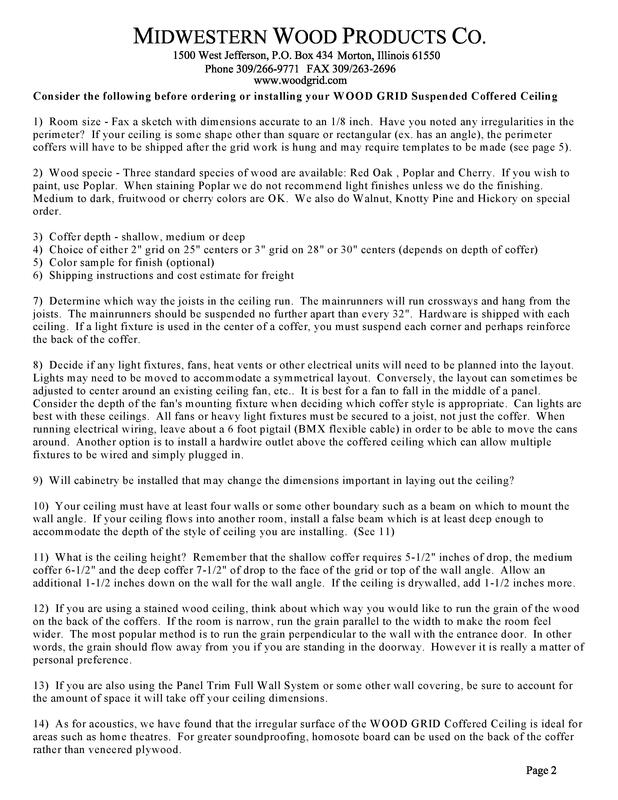 Click here for printable page on things to consider before installation (below).